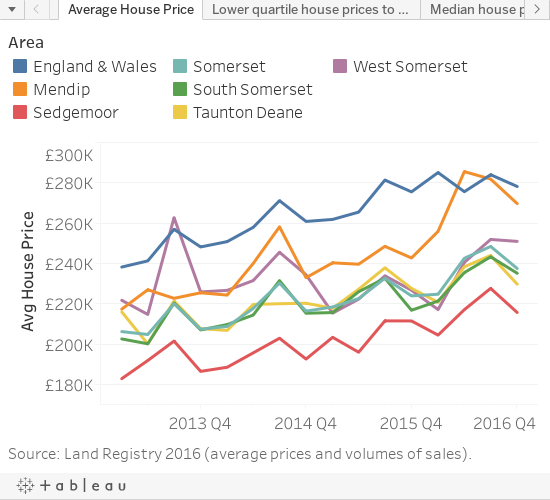 The average house price in Somerset during the fourth quarter of 2016 was £237,476 an increase of 6% on the previous year and a fall of 4.4% on the previous quarter. Mendip had the highest price of all the districts at £269,662 (Q4). During the forty two months of the Help to Buy: Equity Loan scheme 100,284 properties where bought in England, of which 1.5% were in Somerset. House prices in Somerset are high in relation to earnings. Within Somerset, all the districts have median ratios higher than the County. 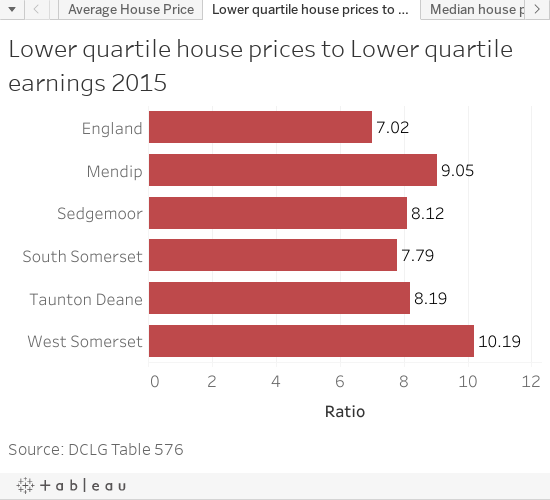 The lower quartile house prices, West Somerset has the highest with 10.19 times greater than the lower quartile earnings. 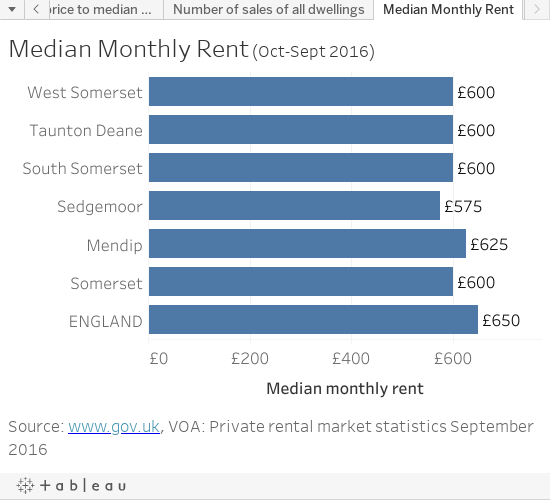 The median monthly rent recorded between 1 October and 30 September 2016 in Somerset was £600, compared to £650 in England. 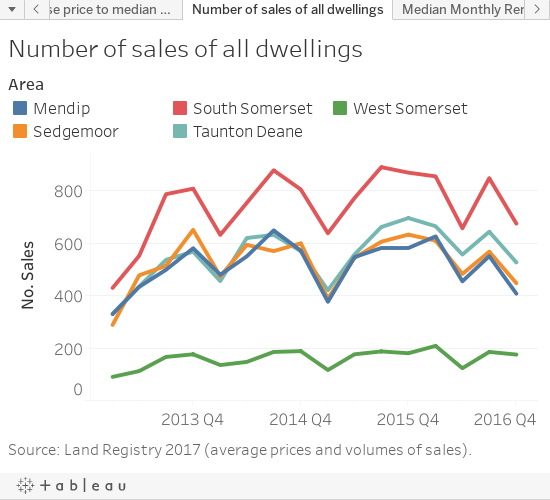 Mendip had the highest median monthly rent at £625, and Sedgemoor had the lowest with £575.